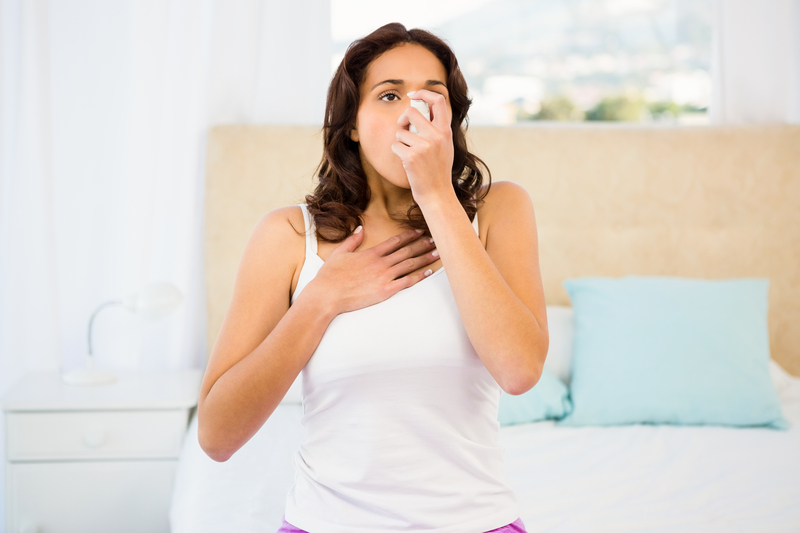 GlaxoSmithKline (GSK) and Innoviva presented positive results from a Phase 3b study investigating the efficacy and safety of Anoro Ellipta (umeclidinium/vilanterol, or UMEC/VI) in patients with moderate chronic obstructive pulmonary disease (COPD) who continued to experience symptoms while on tiotropium (bronchodilator) monotherapy. Anoro Ellipta is a combination of a long-acting muscarinic antagonist (LAMA) and a long-acting beta2-adrenergic agonist (LABA). It is FDA-approved in the U.S. for the long-term, once-daily, maintenance treatment of airflow obstruction in patients with COPD, including chronic bronchitis and/or emphysema, as UMEC/VI 62.5/25 mcg (microgram) formulation. In Europe, Anoro Ellipta is indicated as a once-daily, maintenance bronchodilator treatment to relieve symptoms in adult patients with COPD. The approved strength in Europe is UMEC/VI 55/22 mcg. The study, “DB2116960: A Randomized, Double-Dummy, Parallel Group, Multicenter Trial Comparing the Efficacy and Safety of UMEC/VI (a fixed combination of Umeclidinium and Vilanterol) With Tiotropium In Subjects with COPD Who Continue To Have Symptoms on Tiotropium,” was presented at the American Thoracic Society (ATS) 2016 International Conference in San Francisco, California. A 12-week clinical trial was designed to compare UMEC/VI 62.5/25 mcg once-daily with tiotropium 18 mcg once-daily in patients with moderate COPD who continue to have symptoms on tiotropium. A total of 494 patients were randomized to either UMEC/VI 62.5/25 mcg (microgram) once-daily administered via the Ellipta inhaler, or tiotropium 18 mcg once-daily administered via a Handihaler inhaler. The primary outcome of the trial was a change from baseline in trough forced expiratory volume in one second (FEV1) on day 85, and the secondary outcome included change from baseline in FEV1 at three hours post-dose on day 84. The results showed that patients receiving UMEC/VI 62.5/25 mcg experienced a statistically significant improvement of 88 mL at week 12 for the primary efficacy endpoint of lung function, measured by trough FEV1. For the secondary endpoint, there was also a statistically significant improvement in lung function of 73 mL, compared to patients who stayed on tiotropium 18 mcg for the duration of the study. The overall incidence of adverse events was 30 percent in the UMEC/VI group and 31 percent in the tiotropium group. There was one fatal adverse event in the UMEC/VI group, which was found to be unrelated to the study medication. The post Positive Phase 3b Data for COPD Therapy Anoro Ellipta Presented by GSK appeared first on COPD News Today. Tagged American Thoracic Society, Bronchodilator, cardiovascular disease, chronic obstructive pulmonary disease, Chronic obstructive pulmonary disease (COPD), clinical trial, conference, COPD, emphysema, FDA, GlaxoSmithKline, GSK, lung function, PULMONARY Disease, safety, symptoms, therapy, tiotropium, treatment, umeclidinium, WHO.